Faculty and students debate the fairness and accuracy of medical student clerkship grades. Group decision-making is a potential strategy to improve grading. To explore how one school’s grading committee members integrate assessment data to inform grade decisions and to identify the committees’ benefits and challenges. 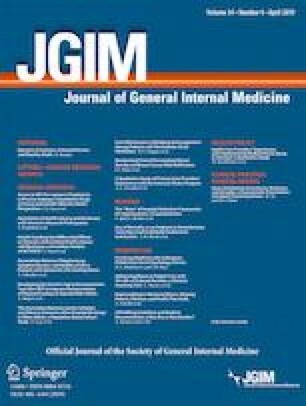 This qualitative study used semi-structured interviews with grading committee chairs and members conducted between November 2017 and March 2018. Participants included the eight core clerkship directors, who chaired their grading committees. We randomly selected other committee members to invite, for a maximum of three interviews per clerkship. Interviews were recorded, transcribed, and analyzed using inductive content analysis. We interviewed 17 committee members. Within and across specialties, committee members had distinct approaches to prioritizing and synthesizing assessment data. Participants expressed concerns about the quality of assessments, necessitating careful scrutiny of language, assessor identity, and other contextual factors. Committee members were concerned about how unconscious bias might impact assessors, but they felt minimally impacted at the committee level. When committee members knew students personally, they felt tension about how to use the information appropriately. Participants described high agreement within their committees; debate was more common when site directors reviewed students’ files from other sites prior to meeting. Participants reported multiple committee benefits including faculty development and fulfillment, as well as improved grading consistency, fairness, and transparency. Groupthink and a passive approach to bias emerged as the two main threats to optimal group decision-making. Grading committee members view their practices as advantageous over individual grading, but they feel limited in their ability to address grading fairness and accuracy. Recommendations and support may help committees broaden their scope to address these aspirations. We presented an earlier version of the manuscript as a mini-oral presentation at the UCSF Education Showcase in San Francisco, CA, in May 2018. The online version of this article ( https://doi.org/10.1007/s11606-019-04879-x) contains supplementary material, which is available to authorized users. All funding for this project was provided by the University of California, San Francisco, School of Medicine. The University of California, San Francisco (UCSF), Institutional Review Board approved this study as exempt. We emailed a consent document in advance, discussed it before interviews, and obtained verbal consent. National Resident Matching Program. Data Release and Research Committee. Results of the 2016 NRMP Program Director Survey. http://www.nrmp.org/wp-content/uploads/2016/09/NRMP-2016-Program-Director-Survey.pdf. Accessed December 8, 2018. Accreditation Council for Graduate Medical Education. Common Program Requirements. http://www.acgme.org/Portals/0/PFAssets/ProgramRequirements/CPRs_2017-07-01.pdf. Accessed December 8, 2018.